Boil 1 liter of spring or distilled water. After boiling water, pour a shallow tea spoon (~3.5 grams) into the boiling water and let it boil on a very low heat for 5 to 10 minutes. Pour everything into a thermos, put a lid on (tide it) and leave it overnight. In the morning strain /drain it and drink the complete liter dividing it in 3 or 4 different dosages during the day, between meals (on the empty stomach). Properties: Anti-inflammatory, Anti-rheumatic, Anti-arthritic, Aphrodisiac, Effective Pain Reliever, Relaxant,is, Spondilitis, Osteo-arthritis and Ostheorticular Diseases, Adrenal Supportive, Immune stimulant, Relaxant, lowers High Cholesterol, taken together with Caihua/Caigua rejuvenates & reduces Cellulites. Action/Usage: Very effective Pain Reliever (Back, Muscles, Menstrual, Stomach, Arthritis, Rheumatism), Fever, Rheumatism, Skin Tumors, Inflammatory diseases of bones and joints, Bronchitis, Cancer, Impotency. Bark maceration considered anti-diarrheic, anti-arthritic, anti-rheumatism, back pains, anti-tumor, menstrual regulator, for upset stomach, muscle relaxant, aphrodisiac, very effective pain-reliever, adrenal support, insect repellant, immune system stimulant. Its main use is in a cordial or liquor. Bark decoction used for dysentery. A shot of chuchuhuasi with aguardiente and honey was given many eco-tourists on departure from the Iquitos airport in 1991. Aril of a Brazilian species contained 8,500 ppm caffeine. Boiled stems for arthritis and rheumatism, under M. Laevis). 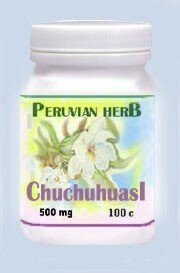 Under the name M. Ebenifolia, Maxwell mentions the “chuchuhuasi” as an effective insect repellent. 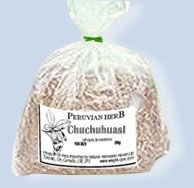 “Chuchuhuasi” is probably the best known of all jungle remedies, in Colombia as well as in Peru used as Aphrodisiac, anti-rheumatic and muscle relaxant medicine. The work of Rosita Arvigo and Michael Balick to bring the knowledge of the Mayan healers to the Western reader deserves due credit. Comments? Mail to weight-care@weight-care.com � copyright Natural Remedies Haven Ltd.